I was awake in the night, trying to puzzle my way through my current writing. 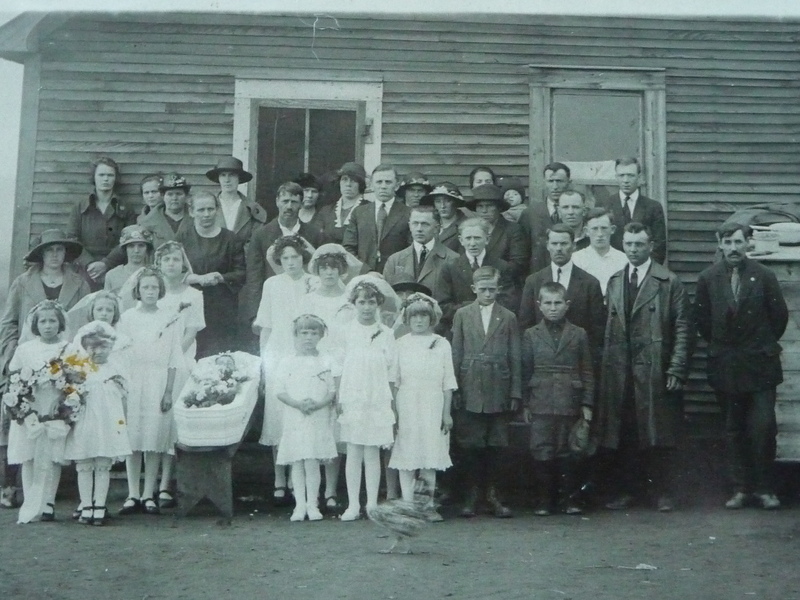 I am hoping to explore the trajectory of my grandmother’s life, from the small house in Horni Lomna (there are photographs of it in my posting on February 26) to Drumheller and then to Beverly. There’s so much I don’t know but I’m learning how to read the maps at least, learning the names of the places she lived, understanding (from the road in front of her house in the Beskydy Mountains) what trees she would have seen, the animals and birds (thanks to Petr and Lenka who scanned a document on the Mionsi Forest which has the names of flora and fauna in Latin which I can figure out, rather than in Czech which would present difficulties…Rana temporaria, Aruncus vulgaris, Accipiter gentilis, and Corvus corax – already it sounds like home. Not that we have that particular frog but at least I’d know what I was looking at…). 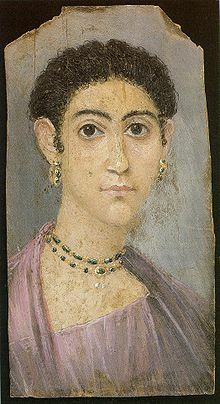 As a result of an afternoon at the British Museum a few weeks ago, I have been thinking about the Fayum portraits from the Coptic period. These were usually painted on wood panels – oak, lime, fig, cedar, acacia, among others – in tempera or encaustic, with bright pigments, and in a naturalistic style. They were portraits of the dead. Tucked into the folds of the wrappings around mummies, they provided both (it seems to me) a sense of identity as well as a commemorative function. After two thousand years, the faces still look directly at the viewer. There is so much to be learned from these portraits. Loving attention was paid to hair styles, jewellery, clothing. Remember us, they ask from eternity. 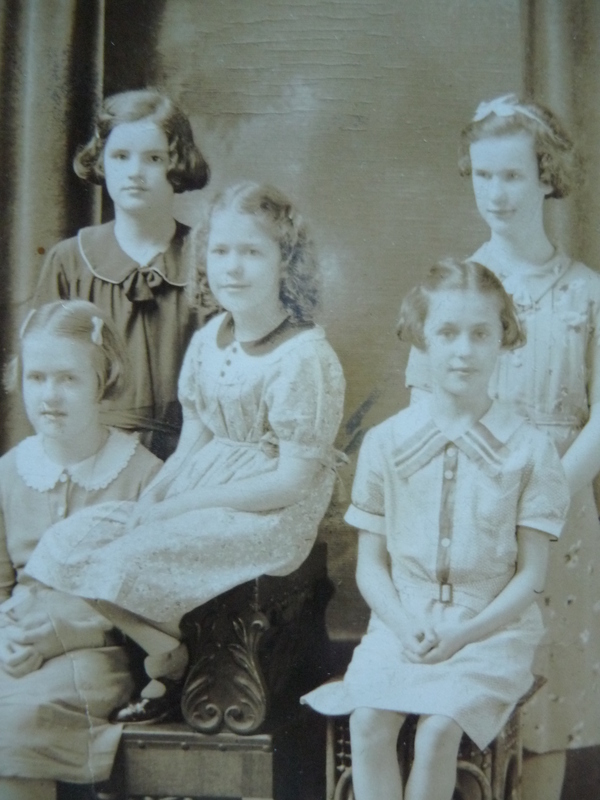 I have photographs of members of my own family and wish I knew more about them. 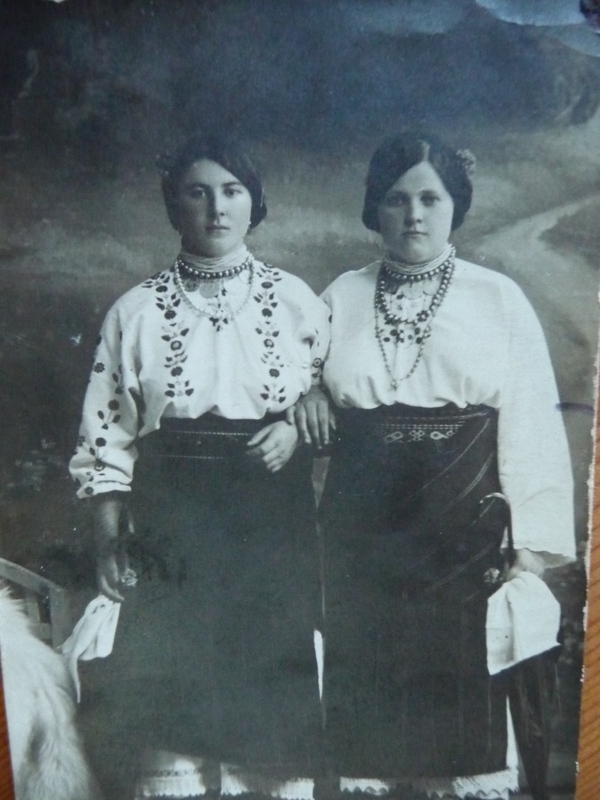 They look out from their moment on paper – a funeral, a posed shot of young girls (and I can tell which one is my mother because I know how it feels to hold her mouth—my mouth – that way), two plump women with arms linked, one of them with the same features as my grandfather from Bukovina (and in fact the photographer’s information is printed on the back: Photograph Atelier “Riviera”, Inh. Ferd. Straub, Czernowitz, Hauptstrasse 16), never suspecting that they will end up haunting a woman in the next century. ~ by theresakishkan on April 4, 2012. This entry was posted on April 4, 2012 at 9:03 pm and is filed under Uncategorized.You can follow any responses to this entry through the RSS 2.0 feed.You can leave a response, or trackback from your own site.